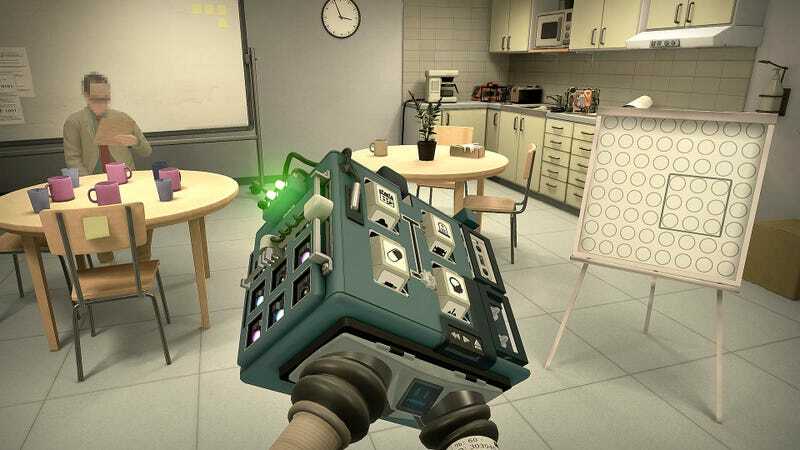 Released earlier this week, Statik takes its inspiration from those classic “stuck in a room filled with puzzly bits” challenges both IRL and virtual, tasking you with a series of setups that all revolve around a box in which your hands are trapped. I wouldn’t expect this game to show up on any other VR platforms, as it’s quite specifically designed for the minutiae of the PlayStation 4 experience: The experience of having both of your hands stuck in the box is mapped to the position of holding a Dual Shock 4 controller, so it wouldn’t feel right holding Vive controllers. And it wouldn’t work with the Rift’s Xbox One controller, because that can’t be motion-tracked. Each puzzle has two major elements: the unique box your hands are stuck in, with its initially inscrutable array of buttons, dials, and other assorted moving parts. There’s also the room around you, which is full of (mostly!) non-interactive clues. First thing you gotta do is start pressing every button you can on the controller while twisting the box around, to see what moves what. Once you take a mental inventory of what you can change and what you can’t, the rest is up to you. And it really is all up to you, as the game provides zero hints. There are clues, of course, but you have to observe them for yourself. If you’re not already a fan of real puzzles (as opposed to typical video game “puzzles”), this may be off-putting! But this means that when you do work something out for yourself, it’s a great feeling, one that’s replicated many times over throughout the game’s 10-or-so puzzle rooms. And the information is there for you to come up with one correct solution for each puzzle. I don’t know about you, but I get pretty annoyed when I feel like a puzzle (in a game or otherwise) is insufficiently clued to the point where there are many possible answers and you’re just left to guess what the designer was thinking. As obtuse as it may be sometimes, Statik is not that. There is a solution to everything and there are enough clues for that solution. That’s very good puzzle design. Aesthetically, it’s hard to miss the Portal inspiration, with the sterile laboratory running seemingly nonsensical “tests” on you, the seemingly unwilling subject, the only voice in your ear the sardonic instructor. A human instructor, here, not a robot. And he’s always in the room with you, drinking coffee with loud slurps, scratching on a notepad, tapping ka-chunk, ka-chunk on a keyboard. It’s mildly annoying and unnerving, but I’m pretty sure it’s meant to be exactly that, so I can dig it. 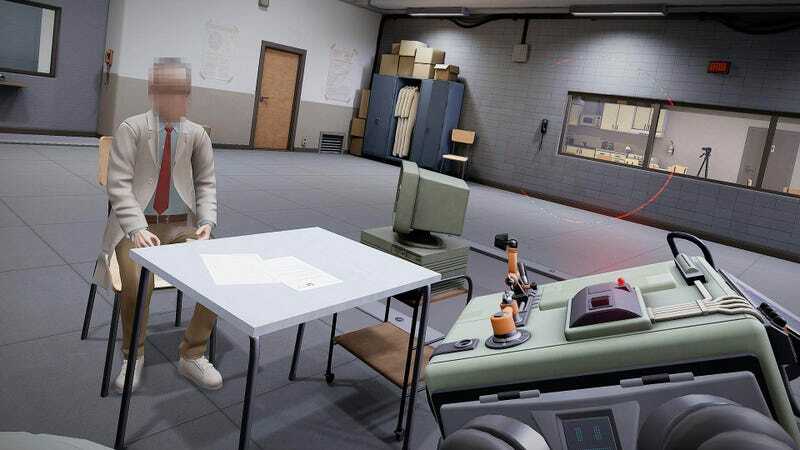 Much like I Expect You To Die, Statik realises that the most compelling use of virtual reality can be quiet, solitary, up-close exploration and manipulation of small objects, the kind of thing that would be far too fiddly and detailed for a TV-based game but works quite well in the VR space. Insofar as it’s highly unlikely this will come to another platform any time soon, puzzle fans who own PlayStation VR shouldn’t miss this.